The father of Poppi Worthington has had his legal attempt rejected. Paul Worthington wanted to remove details of her sexual abuse and change the official cause of death. Not only was his claim rejected but the judge also ordered him to pay costs for bringing a judicial review subject to his ability to do so. 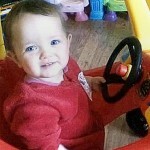 The coroner ruled in January that Poppi was penetrated in her father's double bed at the family home in Barrow-in-Furness in the early hours of 12 December 2012, but this did not cause her death. He concluded Poppi suffocated as she slept next to her father in an "unsafe sleeping environment". The lawyers of Paul Worthington claimed David Roberts, senior coroner for Cumbria had "overstepped the mark" when he recorded the reasons for the 13-month old's death. In response Justice Farbey, siting at the high court Manchester, ruled the coroner's approach "cannot be faulted". During the inquest, Worthington refused to answer questions about his daughter's death so as not to incriminate himself. As the coroner had ruled sexual abuse did not cause her death, the words describing the sexual abuse should be taken out of the record of inquest, they argued, because according to the law, this should only detail how the child died. The judges agreed with Samantha Leek QC, representing the coroner, argued the penetration was part of the "wider factual matrix" giving rise to Poppi's death and the original record should stand. Farbey's ruling said: "In our view, neither the coroner's approach nor his conclusion can be faulted." Fiona McGhie, a lawyer at Irwin Mitchell representing Poppi's mother, who cannot be named for legal reasons, said on her behalf: "The years since Poppi died have been a complete nightmare for her. "Not knowing what happened to Poppi on that day, and knowing that there were evidence gathering failures by the police in the very early stages of the investigation has made things even worse. "Although the latest inquest brought her closer to the devastating truth, it is likely that she may never get full closure on exactly what happened that night. "She was left disappointed that Poppi's father chose to rely on his right not to answer many questions which may have incriminated him at the inquest, and while she understands he was entitled to do this, she considers that the coroner's inquiry was frustrated by this. "She was very disappointed that he tried to challenge the coroner rather than accepting his findings but is relieved at today's decision." Worthington denies any wrongdoing and has never been charged with any offence.